Planning a quarterly meeting that is engaging and successful can be challenging. There are many details to consider and you likely have a lot of information to cover, but you don’t want to take your employees away from working any longer than necessary. 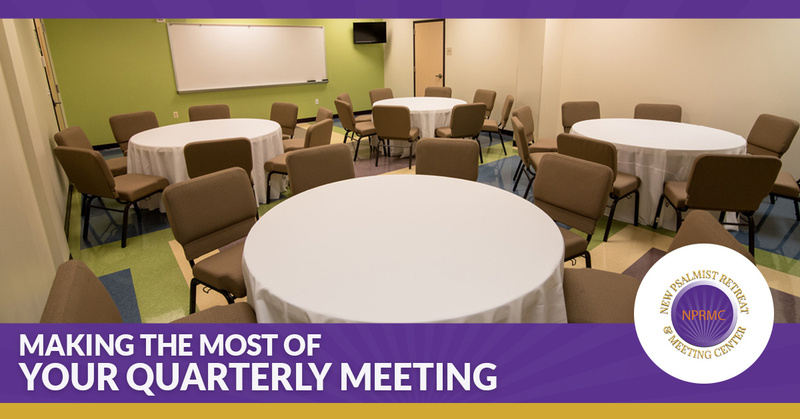 At the New Psalmist Retreat & Meeting Center (NPRMC), we know a thing or two about hosting successful events, and we would love to help you plan a productive quarterly meeting that goes off without a hitch. Check out a few tips below, then contact our Baltimore meeting center to schedule an on-site tour! If yours is like most companies, your quarterly meetings tend to have more attendees than your normal weekly or monthly meetings. You may have top executives, business partners, or others in attendance since this is one of the most important meetings of the year, and you want to make sure that you have enough space and seating to accommodate everyone. Booking your meeting at an off-site meeting center allows you to put your best foot forward, setting the stage for a successful upcoming quarter. Additionally, meeting centers often provide all the technology, food, and drink you need to ensure your meeting goes smoothly and your guests are comfortable. Much like you wouldn’t set off for a road trip without a map, you don’t want to host your quarterly meeting without giving careful attention to your agenda. You want to make sure that you make the most of your time with your employees and executives, but you also want to make sure you cover key issues. At a minimum, be sure to provide an overview of your last quarterly meeting and the progress of the goals that came out of that meeting. Build in some time for brainstorming to develop revised strategies moving forward, and be sure to acknowledge key employees who have contributed to the company’s success. You should also save time at the end of your meeting for your guests to ask questions and so you can outline issues to discuss at your next meeting. It is important to follow up with your attendees as soon as possible after your quarterly meeting. Whether it is via email or a conference call, take the time to recap your meeting, the goals that were set, and who is responsible for what. It is also a good idea to touch base halfway through the quarter to review the progress that has been made on company goals and to set a date for the next meeting. Tour Our Baltimore Meeting Center! If the on-site conference rooms in your office don’t provide the right setting for your upcoming quarterly meeting, let NPRMC help! 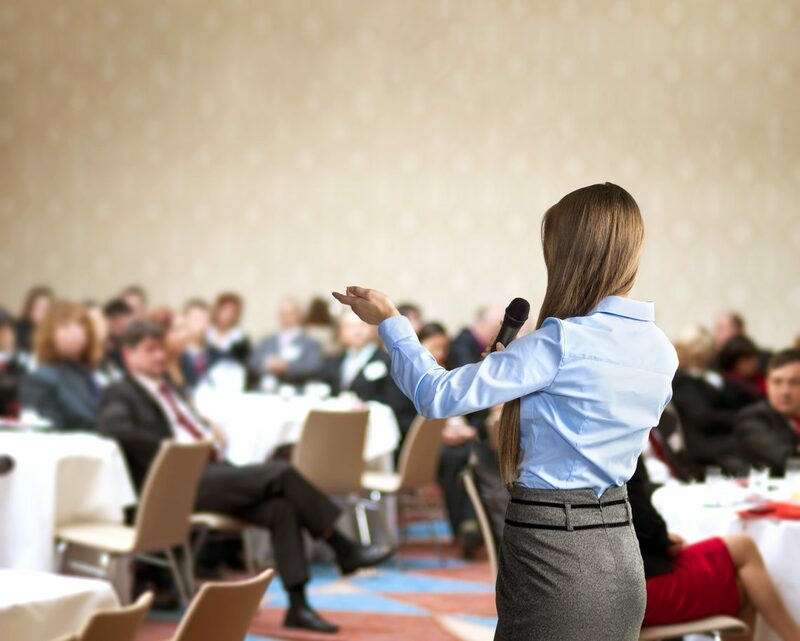 Our facility is the second largest event and meeting center in Baltimore, and we offer a wide variety of conference rooms, as well as several amenities that are sure to take your meeting to the next level. From state-of-the-art audio/visual services and security to valet parking and catering, we have all of your needs covered. Contact a friendly member of our team today to request your proposal, or book a tour to check out our incredible amenities and services. Tell us what event you are planning for and how many people you are expecting to attend.